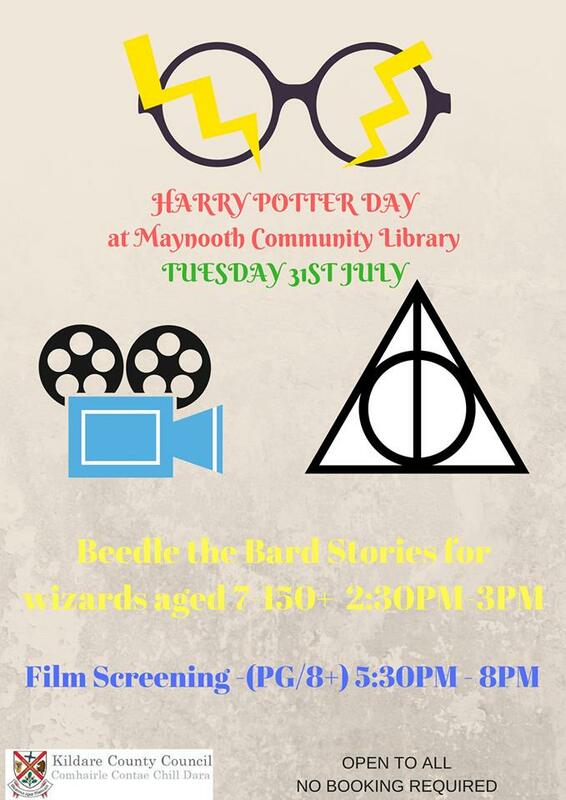 A Harry Potter day is happening at Maynooth Community Library. The event takes place on Tuesday, July 31. There will be story time for young wizards aged 7 upwards, and film screening (for children over 8).